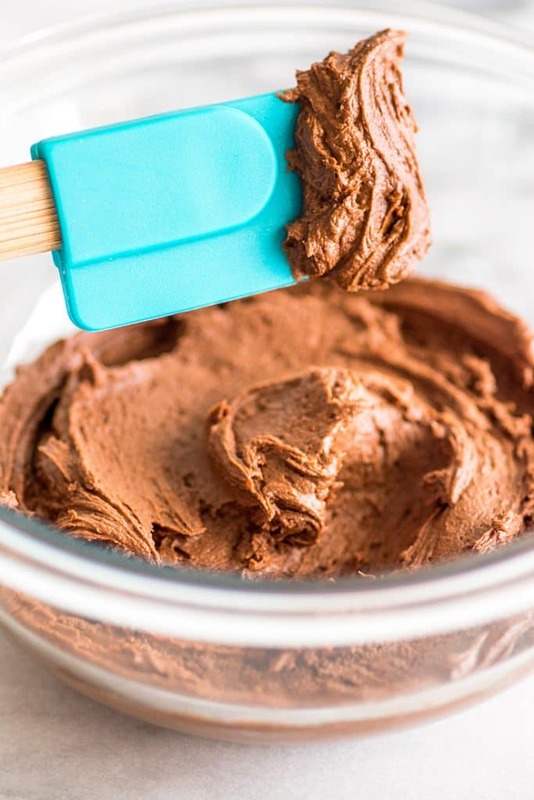 All you need is a few pantry staples to make this super chocolaty and delicious Small-batch Chocolate Frosting. Hey, folks. Happy Monday, and if you are in the US, Happy Labor Day. I hope you’re enjoying your three-day weekend. As promised, I have another small-batch frosting for you today. This time, Small-batch Chocolate Frosting. Or as some might say (me, I say it), the best frosting. 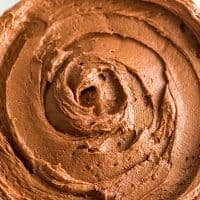 This chocolate frosting is an American buttercream, which means it’s one of the easiest frostings you can possibly make, and you almost certainly have the ingredients to make it any time the urge strikes because you just need butter, powdered sugar, cocoa powder, vanilla, and a little milk or cream. 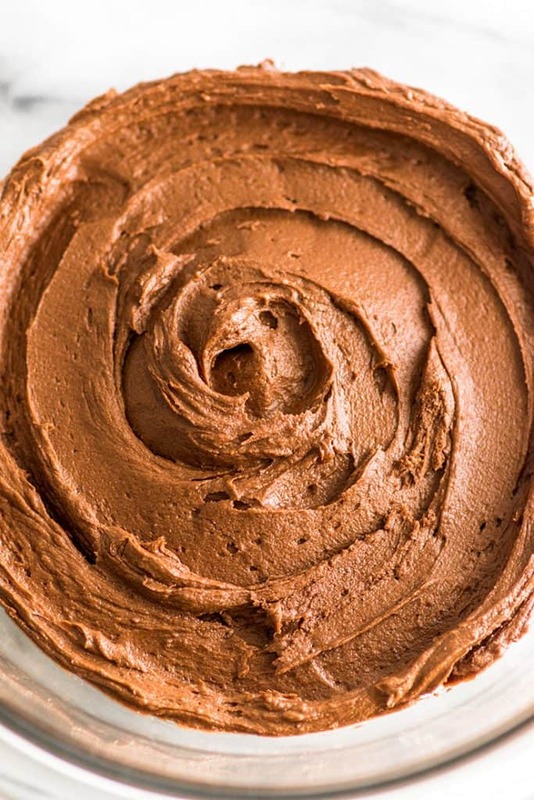 I like to throw a little espresso powder in there to give it an even deeper chocolate flavor (the hint of coffee flavor really brings it out) but that’s a totally optional ingredient and the frosting is still impossibly good without it. Since this is a small-batch frosting recipe, it makes about 3/4 cup, which will frost four big swirls on cupcakes, six smaller swirls, or up to eight cookies or cupcakes when frosted with a knife. 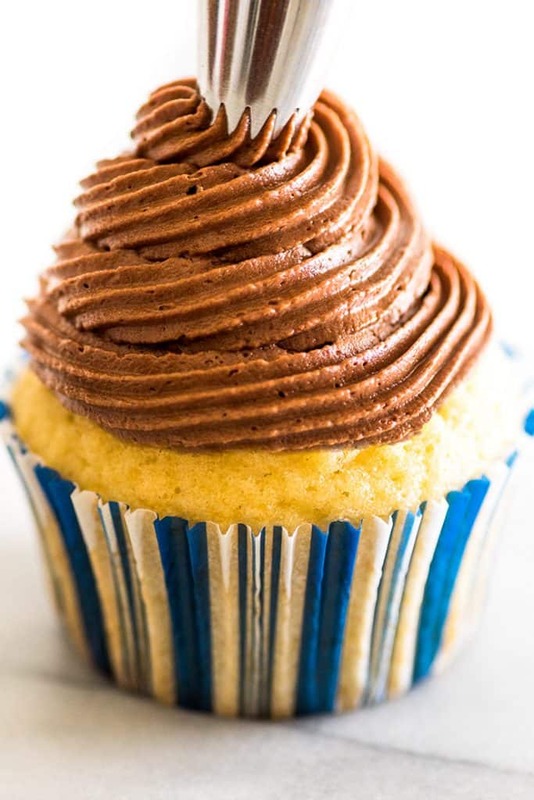 I’ve used it on my Small-batch Chocolate Cupcakes on the site, and it’s A++ over Small-batch Vanilla Cupcakes as well. In a medium bowl, beat softened butter until light and fluffy. Add remaining ingredients and beat until well-combined and fluffy. Add more milk by the 1/4 teaspoon if necessary until frosting reaches your desired consistency. *If you need to use salted butter, just omit the salt in the recipe.